Design Original Feed Sacks counted cross stitch leaflet. Patty Cox. 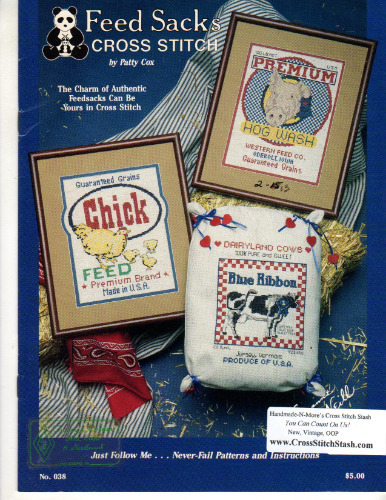 Calico Cat, Blue Ribbon Cow, Premium Hog Wash, Nibblers, Chick, Red Cloud. Appears new. Store sticker on cover.